There were two sets of hills surrounding Boston with natural views of the town and its harbor, Bunker Hill and Breed's Hill to the north and Dorchester Heights to the south. The British captured Bunker Hill and Breed's Hill during the Battle of Bunker Hill in June, 1775, in a very costly action which lost over a thousand men killed or wounded. George Washington wanted to capture Dorchester Heights, but was reluctant. Taking the heights would give the Americans the ability to rain down fire on the city and prevent ships from re-supplying them by sea. 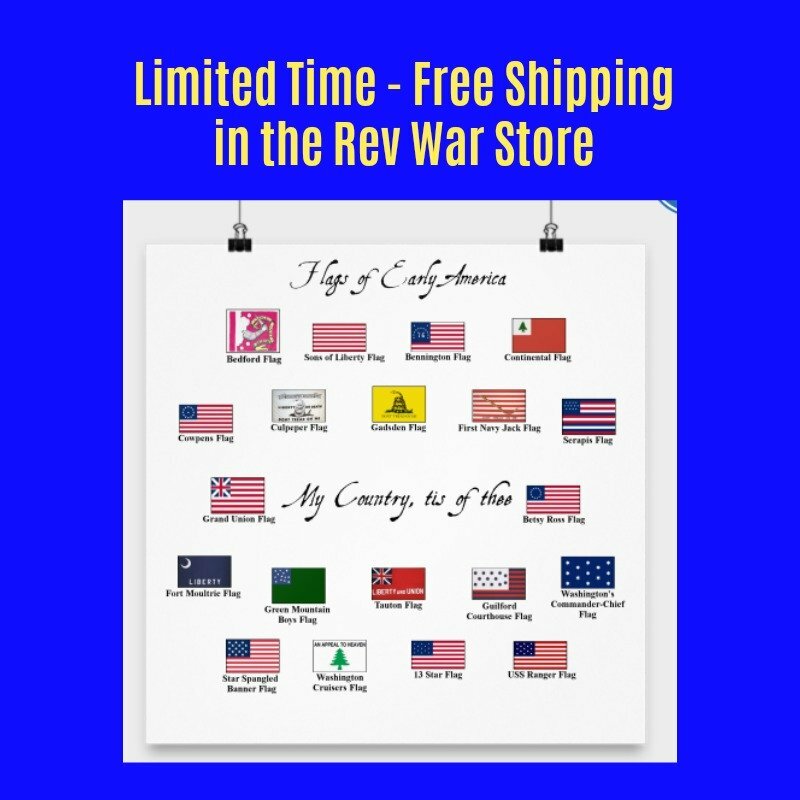 General Gage would be forced to either try to retake the heights or to leave the city. 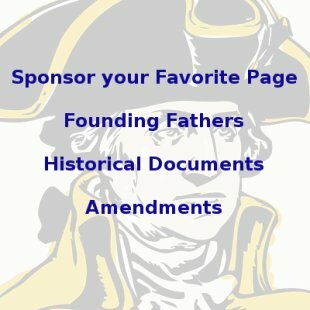 Washington hesitated for months though because his army was very inexperienced. He didn't know if they could withstand a major British assault and they were very low on ammunition and arms. Washington fortifies Dorchester Heights Do you remember that old toy called the View-Master, where you put the slides in and held it up to your eyes to view them? 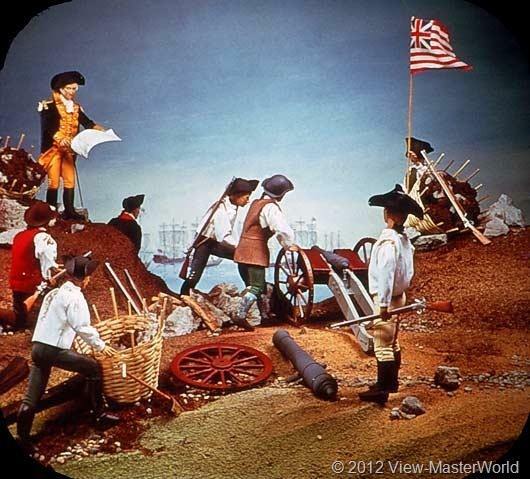 This slide is from View-Master's Revolutionary War series. On March 17th, General Howe pulled all his troops from the city and sailed for Nova Scotia. Washington let them go unhindered in exchange for Howe's promise not to destroy the city when he left. 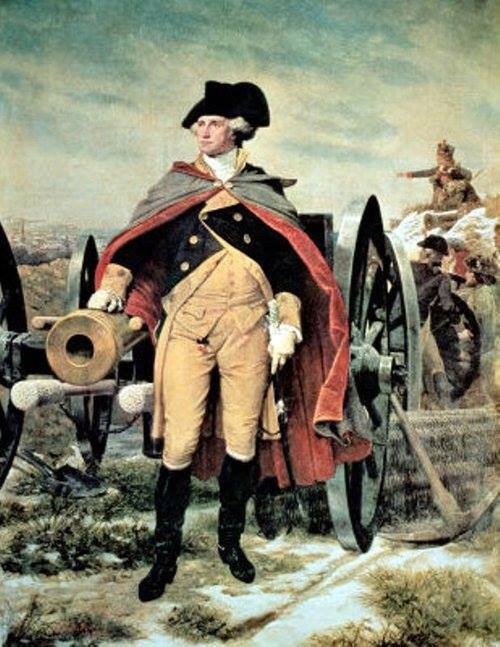 Washington's army marched for New York and would meet Howe again when he attacked that city in the fall.